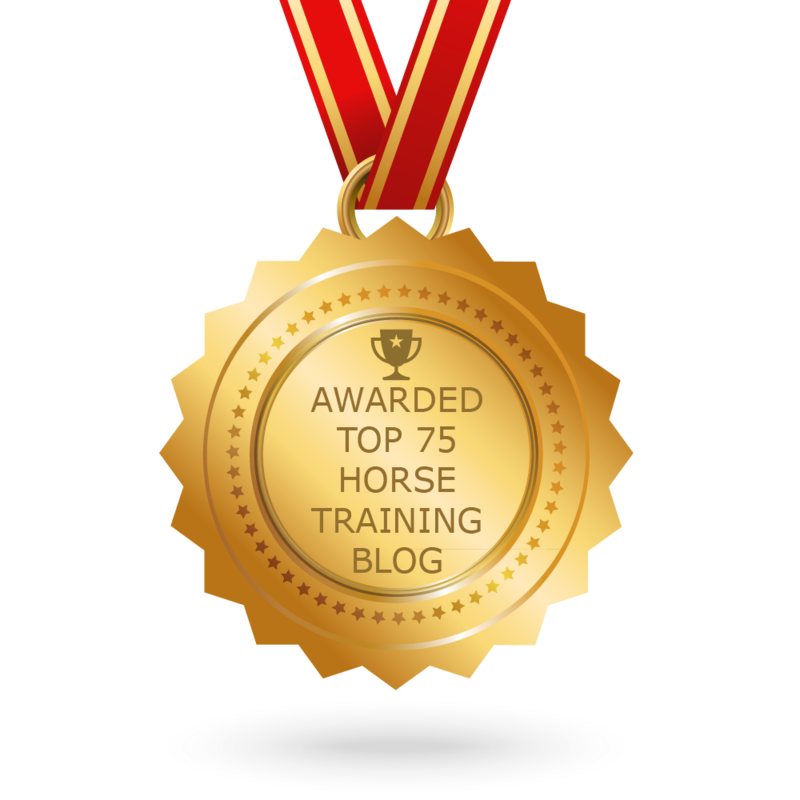 What’s your horse’s best behaviour? Today I posted this question on my Facebook page and the answers were pretty diverse and also surprising. When I thought about this question myself I thought back to when I got Kyra. 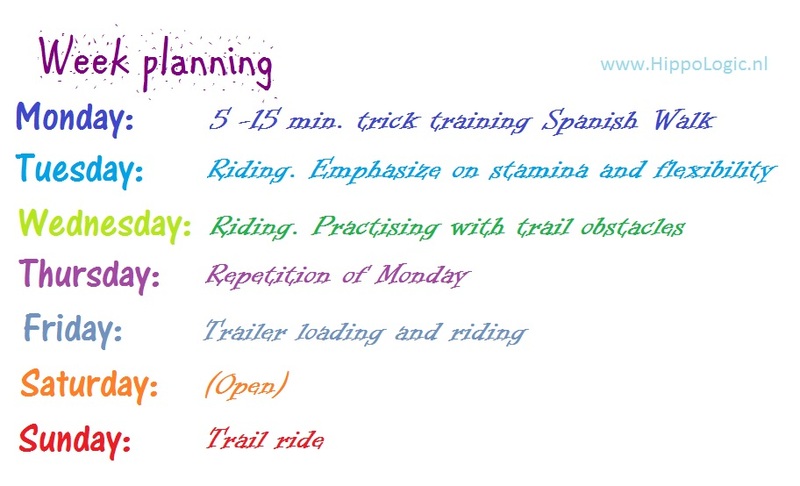 If you are serious about making your equestrian dreams come true in the future start planning it today. 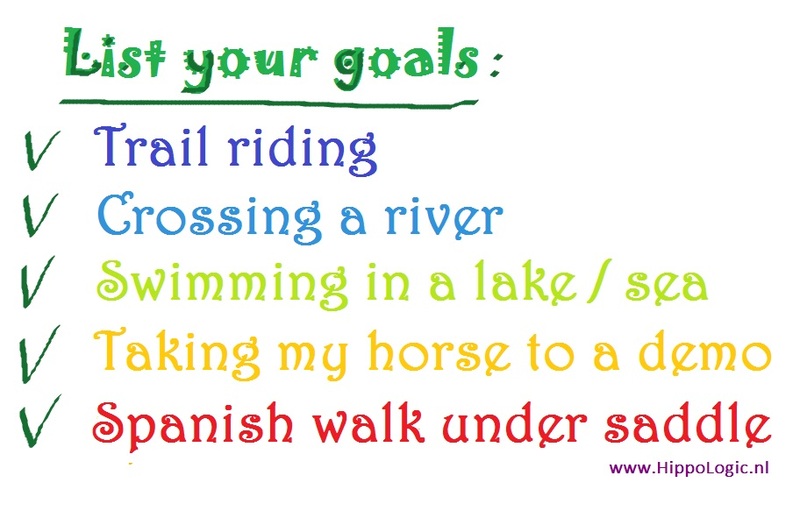 Make it easy for yourself and start really easy if you are not yet in the habit of writing your equestrian goals down. It can be scary to make a training plan for a whole year or multiple year. If that is the case, you can start simple and try planning just one week for your horse. Here are some ideas on how you can start. Evaluate at the end of the week: was is nice to have some kind of schedule? Was it hard? What made it hard to stick with it? Did you like it? Did you feel like you were working on your long term goals? You can just start making a list of 5 things you would like to do in the future with your horse. You can also put things on your list that you are already doing, but want to do more often. There is no particular order. What steps do you need to take in order to reach these goals? In my case I have to go by trailer to the nearest forest, so trailer loading is very useful for multiple goals. Another preparation could be working on Kyra’s stamina under saddle. In order to cross a shallow river for the first time I would like Kyra to go with an experienced trail horse. And I would like an experienced guide with me because I have no experience crossing rivers on my own. Another preparation is making Kyra water savvy of course. The same preparations would apply for swimming in a lake or the sea with Kyra. And so on. These are just examples to give you an rough idea and hopefully give your some inspiration to make a training plan for one week. Think of your own week schedule and about what days and times you would go to the barn. Maybe there are days you have less time to train your horse. Do you go mornings, afternoons or evenings. In summer it can be hot so mornings and evenings are best for riding or intense training. Keep that in mind when making your schedule. On the days I am taking my 4 year old son to the barn, I don’t plan to ride Kyra. Usually I stick to groundwork exercises on those days in order to avoid stress and frustration. In winter when days are short, trail riding is only possible during daylight hours, so I can only plan them in weekends. Now I can take another look at my goals and start planing my week. Now I know what I want to accomplish and how much time I can spent, it is so much easier to make a schedule for the week. If I have to or want to adjust my schedule that is ok. Since I have written down my goals in step 1, I will find something to practise that will support my goals in one way or another. If someone has left a few small jumps in the arena I can practice jumping or do some flat work because I can see how that would be helpful in my future trail rides. It can help build muscle and stamina too. It is also possible that I would choose not to practice jumping because there are more urgent goals to work on and I know that the forest or park I am going to ride in on Sunday doesn’t have any jumps on the trail. Last step is to write it down. Take your plan to the barn and hang it in your locker or another place where you can see it. It helps me to have a copy of my plan at home in a visible spot, so I won’t forget what I have planned. The best thing of making a plan is crossing off the things I scheduled! It makes it easier to journal about it too. Good luck planning your week schedule and let me know how it went.